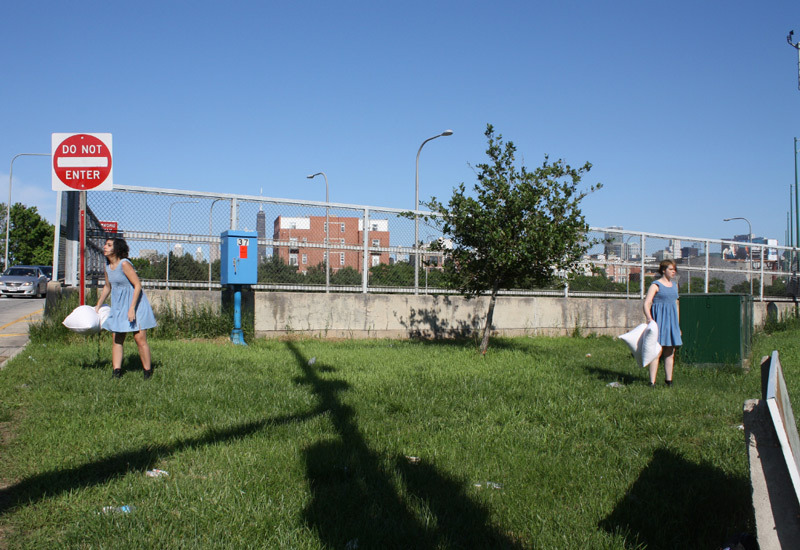 Mothergirl (US) Katy Albert and Sophia Hamilton, is a performance duo living and working in Chicago, IL. Their performances have taken the form of installation, durational event, and guided audience interaction.They have performed at MCA Chicago First Fridays, Rough Trade II Artist Exchange, Out of Site, Defibrillator Gallery, and Roxaboxen. They are founders and hosts of Bits and Pieces: A Monthly Salon for Ideas and Experiments. 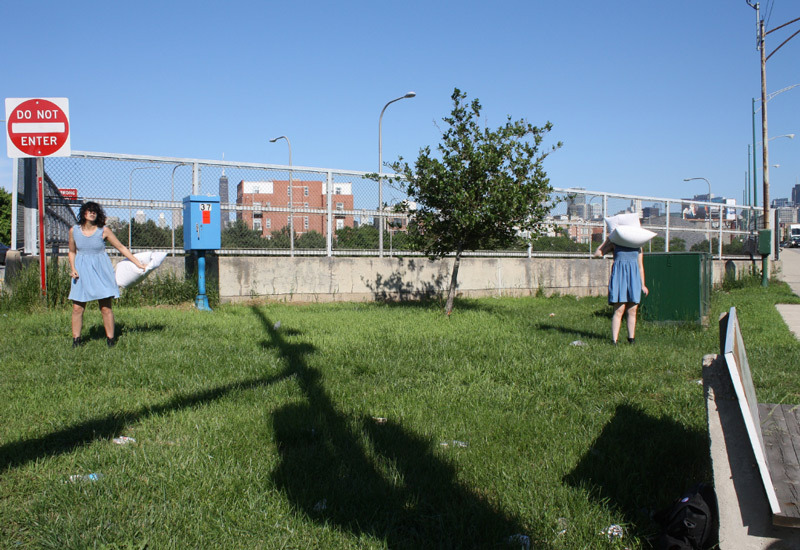 They recently exhibited their solo show, Two Women Do Three Things, at Happy Collaborationists as part of their 2012 ACRE Residency. Mothergirl will stand at the southeast corner of the intersection of Augusta and Milwaukee, on the strip next to the I-90/I-94 onramp. 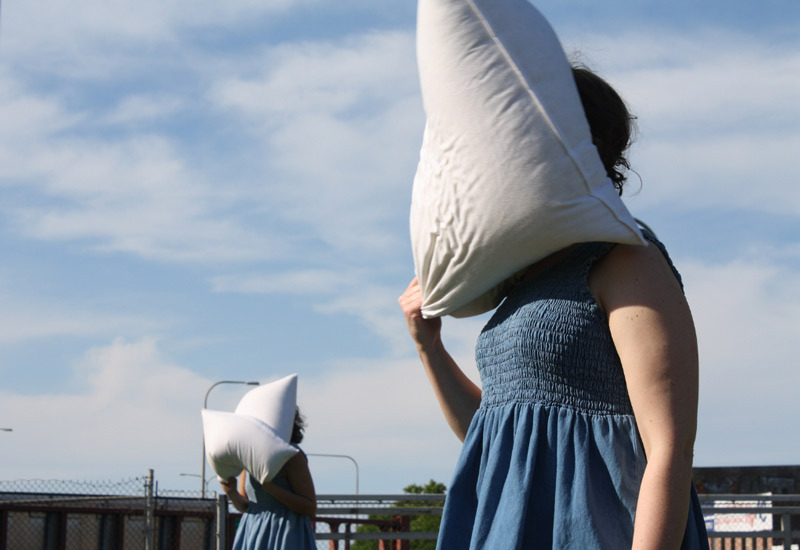 Using large feather pillows, each performer will beat herself about the head and face. The impotent rage will last for one and a half hours.